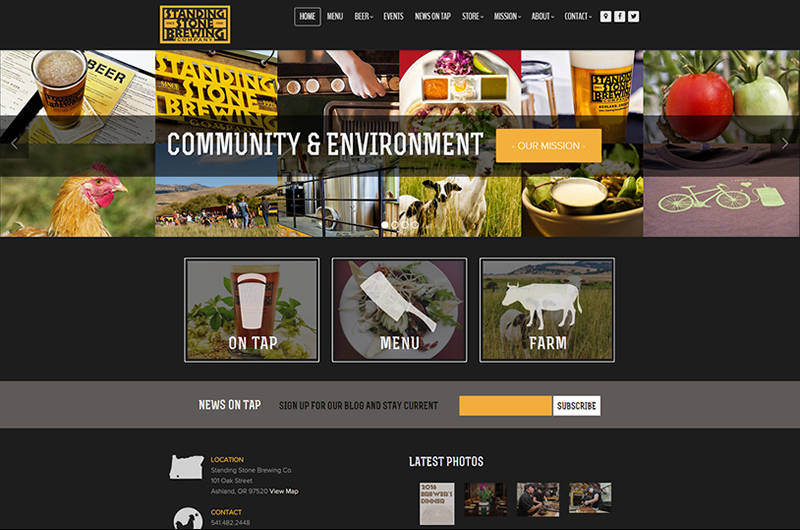 A leader in energy efficiency, environmental responsibility and community involvement, Standing Stone Brewing Co. is a pillar restaurant and brewpub located in downtown Ashland, Oregon. In 2005, ruby slipper created the Standing Stone Brewing Company website and it has been one of our most prestigious portfolio pieces. A few years later, we created their stylish blog, News on Tap. In 2012, we created the mobile site by collaborating with Standing Stone’s talented graphic designer Ashley Nunes. More than 11 years after the launch of their site, we created a new, responsive beauty which features Ashley Nunes’ design elements and George Rubaloff’s gorgeous photography.